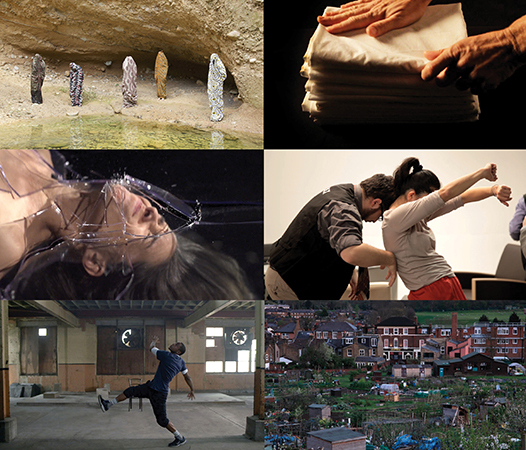 Video stills, left to right: Lucia Pizzani, RPM Project, Antonia Wright, Einat Amir, Charlotte Ginsborg and Sarah Turner. TRIAD presents You Can Only Understand From A Distance with the aim of providing a dedicated space for showcasing women artists working across film and video, emphasising their approach to moving image practice. Presenting a number of videos by six internationally acclaimed artists who map out different cultural approaches to topics such as politics, conflict, society, intimacy and nature, You Can Only Understand From A Distance taps into the question of whether a gendered gaze is also at play here. Over the course of six weeks starting from March 23, TRIAD will stage a weekly public screening programme accompanied by artist talks and panel discussions. An invitation for open discussion and debate, the project aims to analyse, question and challenge how social, political and cultural issues are appropriated by a male-driven society, both in the art world and beyond. You Can Only Understand From A Distance will launch with a screening of short video works by London-based Venezuelan artist Lucia Pizzani. Fusing images of nature and the female body, Pizzani creates highly sensual and seductive visual metaphors that address women’s struggle for liberation from socially imposed roles from the early 20th century through to today. Miami-based RPM Projects’ 2407—The House Inside My Head (2012), originally a multimedia interactive installation and performance, overlays everyday images associated with female domesticity—folding laundry and linen—to raise awareness of how this mundane everyday chore can transcend into a different level of consciousness and meditation (screened on March 30). The piece was inspired by the public flurry of reactions to an article by Anne-Marie Slaughter’s article “Why Women Still Can’t Have It All” (2012). Social structures and socio-political issues are the key focus for Antonia Wright and Einat Amir. Inspired by the Futurist artist Filippo Tommaso Marinetti’s texts, Suddenly We Jumped (2014) is a performance for video in which Wright continuously smashes through a sheet of glass with her naked body which is transformed into a mechanized weapon to be catapulted into the air (screened on April 6). The ongoing performance piece Are You OK? (2011 onward) explores the concept of social structures and tests our rules of behaviour within different systems as the artist films herself breaking into tears in public spaces around the world, from Havana to New York and Paris. Einar Amir’s I’ll be your guide for this session (2013) is the video version of her performance Our Best Intentions which was premiered at Performa 13 in New York (screened on April 13). Shot in a professional film studio, I’ll be your guide for this session explores how authentic encounters between people transform and reveal themselves when situated in a highly controlled environment. Charlotte Ginsborg’s video Opponent (2013–16), a commission by Channel4 and Film London (FLAMIN), fuses boxing and dance to present a hybrid choreographic performance that explores two very different expressions of masculinity through these dichotomous forms of movement (screened on April 20). The project concludes with the screening of Public House (2015), a feature-length film by British artist and filmmaker Sarah Turner (screened on April 27). Taking the 2012 sale of the Ivy House pub in Peckham to property developers as its point of departure, Turner created a genre-blending documentary that turns community action into an exhilarating participatory opera. The activism that saved the pub is a metaphor for social and creative agency. Organised in collaboration with The Screening Room Miami, You Can Only Understand From A Distance continues TRIAD’s mission to promote cultural diversity within local and artistic communities through dialogue and debate.